1. I had a plaque from Value Village on hand. I painted the front cream. You could use a frame, a tile, or anything that you can come up with for this project. 2. I cut a cute piece of scrapbooking paper to the size of the front, coated the front in Mod Podge and pressed on the paper. 3. 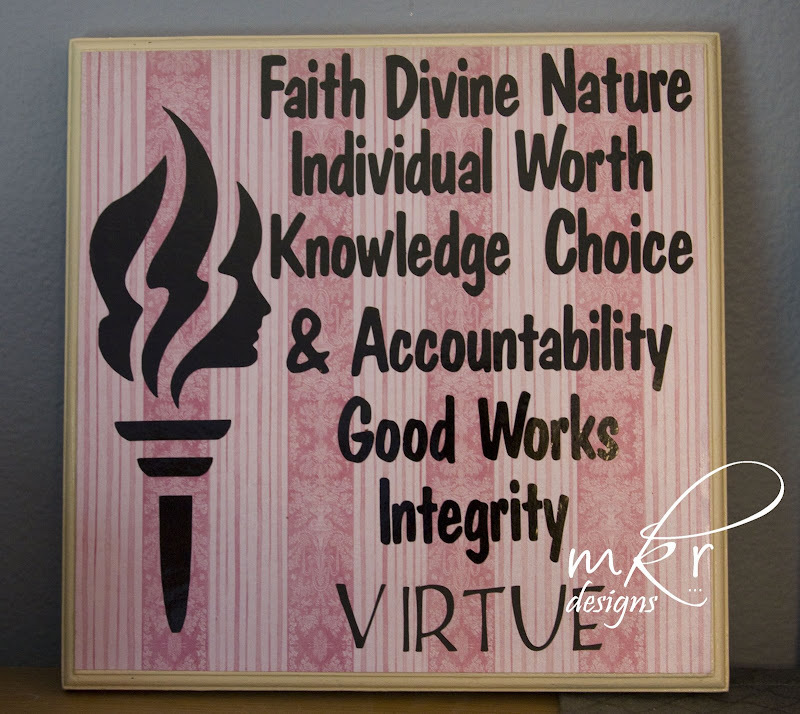 I used Vinyl Lettering my Mom gave me last year and cut "Virtue" on the Cricut in black Vinyl. I was too impatient and cheap to get the matching font. At the end I've listed a few sites you can order your own YW's vinyl. It's different from the one I used, but super cute too. 4. Once the Mod Podge behind the paper was dry I applied the Vinyl. I didn't coat the front of the paper with Mod Podge or a finishing spray as the paper had a pretty sheen to it I didn't want to mess up.